If you're thinking about getting a dog, you should bear in mind that some breeds will be better for you than others. The Early Show's resident veterinarian, Dr. Debbye Turner, offers insight on some of the nation's most popular breeds, to help you determine which might be best for your lifestyle, personality, home and family. Labs are a member of the sporting group. They are naturally athletic, high-energy, and intelligent. They are genetically engineered to retrieve: birds, tennis balls, a stick, you name it. They require a significant amount of attention. If they are left alone or unattended for extended periods of time, they will most likely develop objectionable, even destructive, behavior, such as incessant barking, digging, and chewing. Labs, like all dogs, are very social. They want to be a part of the family. So leaving a Lab outside all the time is not a good idea. They want to be inside with you. Labs love to romp, play and roll. You will find that they actively seek out smelly stuff to roll around in. Although their coat is relatively short, they shed quite a bit. Labs are not for "neat freaks" who don't want a messy, smelly dog. They are also not the best choice for an inactive, frail, or older person who can't provide the necessary activity for a Lab. A Labrador will want to sleep in the bed with you. So this might not be the animal for you, if you wish to keep some distance between you and the dog. 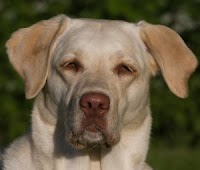 Labs are best suited for a person or family who has plenty of time to spend with them. The owner or owners should be active and willing to provide the dog with plenty of time and space to run and exercise. Labs can be good family dogs, but might not be the best choice for a family with very young children. Labs' exuberance may cause unintentional harm to a small child. Labs tend not to understand their own strength, and 2-year-olds tend not to enjoy being bowled over by a big dog. German Shepherds are herding dogs (as their name implies). Their historic role was that of watchdog and guard dog. They are strong, alert, very intelligent, fearless, and loyal. German Shepherds are great for companionship, for a role as a working dog (guide dog or law enforcement, for instance), or guardian. These are fairly large dogs that require adequate space and exercise. This is not the best dog for someone with a shy, hesitant personality. This is not the dog for a home that has limited space or no enclosed yard. These dogs are great for the person with an active lifestyle. They are great running companions. They are loyal, protective family dogs that are patient with the pokes and prods of small children, provided the dog is properly trained. Of course, no small child should ever be left unattended with the family pet. Because German Shepherds have such a strong, resolute personality, you should have an equally assertive approach. Border Collies are in the herding group of dogs. They have an intense, natural instinct to herd, lead, and control almost anything: sheep, flocks of birds, small children, you name it. Border Collies have an almost endless supply of energy. They demand "work" to do. Because of the characteristics selected over years of breeding, they can be quite independent, which is not always a good thing. And they are master problem-solvers. This is not a good breed choice for a family with small children. Most assuredly, the Border Collie will try to "herd" the child or children. This can be disconcerting to the child. As a natural part of a Border Collie's behavior, the dog may nip at your child's heels or rump. Most kids will interpret this as an attack, which wouldn't be good. Border Collies are for the person who wants to dedicate a lot of their time to his or her dog. The Border Collie owner must be able to provide an extended amount of time outdoors, exercising. 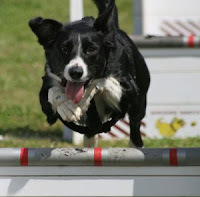 Because Border Collies are so smart, the owner needs to be smart, too. These dogs are great for the intellectual person who enjoys solving problems. This may be a dog for a small family or single person. They tend to bond with a particular person to the exclusion of everyone else. Dalmatians are a non-sporting breed. They enjoy a lot of attention, and are sensitive to extreme heat and cold. Dalmatians can be "high maintenance." They want to be around people, but don't necessarily want to snuggle. They are not couch potatoes. They can be taught to be good with children, but this requires time and training. Dalmatians have short, beautiful coats, but they shed considerable amounts of hair. Dalmatians have a genetic predisposition for deafness. It is estimated that 10-to-12 percent of Dalmatians are born with partial or total deafness. 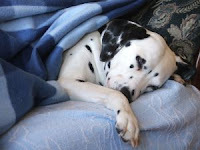 Caring for a deaf Dalmatian takes special care and patience. A deaf dog can pose a danger to children. Because they cannot hear you approach them, they can be easily frightened. In most cases, frightened dogs bite. Dalmatians may also tend to strongly protect their territories. So the household that has a lot of people in and out all the time would not be ideal for a Dalmatian. Bichon Frises are a non-sporting breed. They are very social and affectionate, with lively personalities. They are easy to train. They are not "yappers" like other small breeds. Bichons have a thick coat of curly hair that requires considerable grooming. Bichons tend to be good with children, and love being with the family. Because they are a small dog, good play sessions will provide the exercise that they need. Bichons are good for people with limited space or small apartments. However, the cost of keeping them adequately groomed can be considerable. They should be professionally groomed at least once a month. And it is advisable to brush them daily to prevent matting. Because Bichons don't shed as much as other breeds, they are good for the person who likes a clean, neat environment. Chihuahuas are in the toy group. They are very alert and expressive, and sometimes aggressive. Don't let their size fool you. These dogs have a lot of confidence! 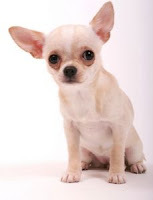 Of course, Chihuahuas are quite small, with a pretty fragile bone structure. Chihuahuas don't need a lot of outdoor exercising. In fact, a good play session inside should be sufficient for a Chihuahua's needs. Because they are so small, with a very short coat, they do need to be protected from the cold. A sweater is a big help for a Chihuahua when taken outside. Chihuahuas have a strong will and great sense of loyalty. They are great lap dogs. Chihuahuas are not ideal for a large family or a family with small children. They don't necessarily like a lot of new people, so they are not great for a very busy household with lots of people coming and going. Chihuahuas are great for apartment dwellers and single people. They tend to bond strongly with one person in the household. They are great for the person who wants a lap dog and constant companion. But be prepared: Chihuahuas require a long-term commitment. They can live up to 20 years. This is a good dog for the quiet, retiring person who is not necessarily a social butterfly. These are not the best dogs for a family with small children. Their small frame makes them a candidate for severe injury at the hands of a rambunctious toddler. A Chihuahua will not hesitate to bite if he feels threatened.